Entrepreneurs know that the biggest battles you’ll wage are the ones in your head. While some people might talk a good game of courage from the sidelines, entrepreneurs know the uneasiness and excitement that can pervade their thoughts. Entrepreneurs don’t live in the security of the known. You forge your own path, battle risk and uncertainty and prop yourself up with a strong mental attitude to stay focused on your journey. However, with that trailblazing, you also know there are times when fear is normal. Courage as an entrepreneur doesn’t mean you’re never afraid or concerned about what’s to come, it simply means you recognize those emotions and you forge ahead with confidence that you’ll be able to make it through and achieve your vision. One of the best examples of a huge vision was the incredibly inspiring peaceful leader, Mahatma Gandhi, who was born Oct. 2, 1869. While just a simple man, he never let the fact that he was only one person keep him from blazing his own trail of peace. He organized a movement and created a revolution in India -- all from peaceful, inspired action. He believed in a better future and he worked to make it a reality by peacefully leading the Indian people to eliminate British rule and establish their own free nation. As an entrepreneur, there is much to learn both from his power as a peaceful but relentless leader and his drive to see his vision come to be a reality. In honor of his birthday, here are five quotes attributed to Gandhi to inspire and remind you that one person can make a big difference with their own beliefs and leadership. There’s a great GNC commercial with the tagline “beat average.” Gandhi understood that tagline, even if fitness wasn’t his goal. You beat average and achieve your vision by doing something today. Procrastinating until tomorrow or beating yourself up about yesterday don’t lead to positive action. Get started on your vision right now, today. This may just be the greatest call to action in history. If you know your calling as an entrepreneur, get off the sidelines and start living it. Believing doesn’t mean much if you don’t back up your desires with action. In fact, it creates stress because what you’re doing isn’t in alignment with who you really believe you are (or want to become). It’s OK to be scared, but it’s not okay to be dishonest. Be true to yourself and your vision and start living it today. Gandhi didn't actually say this famous quote, but it is his life’s legacy. There’s an old adage that you should only take advice from someone you want to actually be like. Gandhi didn’t just believe in a free India or talk about being peaceful, he lived it. He was the change and his life saw the achievement of his vision. The world needs you to be the person you are and live the life of the entrepreneur you’re meant to be. This seems pretty obvious, but again, Gandhi drives home the point that if you aren’t taking action, then nothing is happening. Start today. Take action right now. Make the life that you’re living line up with the vision you are working to create. That’s how things happen. Belief is great and totally necessary, but taking action is critical, too! Change yourself -- you are in control. This is a very powerful concept that Gandhi lived every day. You being the best person and entrepreneur you can be will make everything and everyone better off. You have the power to change yourself and you are in control of your life. Entrepreneurs take responsibility for their situation. Gandhi's legacy challenges you to do the same thing. You are in control, so where do you want to go and who do you want to be? If you don’t like change, your going to like irrelevance even less. If you’re looking for an example of the customer experience revolution, Amazon has shown the way to innovate and dominate by putting the needs of customers first. Making experience the heart of business strategy, Amazon has shown that customer service and customer experience really do matter and are critical to staying relevant to today’s Internet-savvy, socially connected customers. The focus has surpassed products, services, and price toward thepurpose-built customer experience and the user experience within it. Delivering exceptional customer service is critical to ongoing success today. Customer needs have changed and those who want to remain relevant will need to continually keep up with the wants of customers. The revolution of experience will continue to roll on and organizations will quickly find that customer experience is no longer just a strategy, but it’s the new reality of doing business. Amazon has shown the way to do it right. As a web-based business Amazon has focused on making the customer journey as straightforward as possible. Ideas like One Click shopping (and now ordering via Twitter) ensure that the checkout process is fast and simple, without consumers having to re-enter credit card details or addresses. This also applies to customer service. If consumers have a query or want to return an item information is readily available and automated, with the maximum use of self-service, supported by channels such as web chat and email. 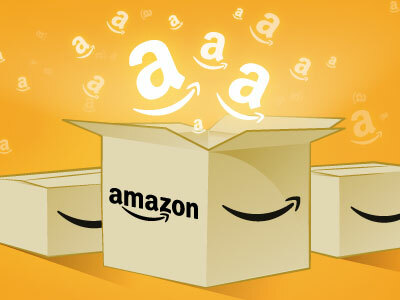 Amazon was one of the first to make customer reviews central to the online shopping experience. Amazon reviews are a source of entertainment in my family and also our trusted advisor before making any considerable purchase. Now, almost every retailer provides an opportunity to review the product that you have just bought – even down to a pack of nails from a DIY site, while most people won’t make a major purchase without checking relevant reviews on both products and the retailer itself. Twenty years ago, customers were limited in what they could buy through the physical size of their local shops. The internet changed all of that, but led to the opposite problem – too much choice. One of the most subtle, yet forward thinking experience additions Amazon gets right is it’s “Frequently Bought Together” section. If you’ve ever purchased an item, Amazon will show you what other customers also purchased with it. Try searching for a Blu-ray player on Amazon and you’ll see a suggestion to add HDMI cables to your purchase. Amazon makes sure your experience will be complete. This solves the age old frustration of new toys on Christmas morning that can’t be enjoyed because “batteries are not included”. Due to its size Amazon is able to capture a huge amount of data and uses it to deliver personalized offers and recommendations based on previous purchase history, tailoring information to particular customer needs. When Amazon started, people saw it solely as an online bookstore. However, this was never the long term goal – it was simply a start point to build customer trust in the then new experience of buying online. Since then Amazon has expanded far beyond retail – offering streaming services, digital downloads and physical hardware such as the Kindle e-reader, Fire tablet and new Fire Phone. These not only integrate closely with the retail side of the business, but add innovative new features. For example, the Fire Phone has a near 3D screen and the ability to provide information on anything it sees or hears. Amazon has never rested on its laurels, and is continually moving forward. Compared to competitors with physical stores, Amazon operates on very low margins. From the beginning Jeff Bezos talked about being focused on customers, rather than competitors, and taking a long term view. It is rumored that its core retail business just breaks even, and overall profits are still small compared to total revenues. Amazon’s strength is that it aims to think like a customer and provide what they want, building loyalty in a crowded market. The internet has radically changed consumer behavior over the last twenty years, widening choice and shifting the balance of power between companies and customers. Amazon has been at the heart of this and is helping reshape how we shop, both now and in the future.